"A fighter that's all I ever wanted to be." A warrior is a brave or experienced fighter. That's what Jaidyn Mormont was raised to be. Father and daughter separated by the Narrow Sea, she is thrown into the game of thrones. 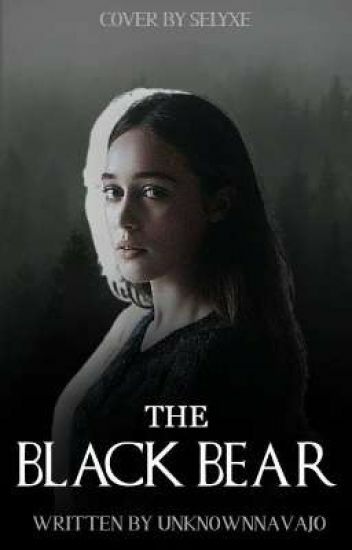 Can she strive to be the warrior she is or will a wolf bring down a bear. "The Gods rule us still, they have come down from the sky and they are no longer kind....let it be. They will bow anyway"
"Them whom the gods love, die young"
The devastation and misery hasn't affected the Stark family quite yet in this tale. As Josephine Ravenheart descended from her home in venture to visit Winterfell with her family for the first time. During her visit Josephine became afflicted with the heir of Winterfell, Robb Stark. Had she fallen for him, or was it all forced? Disclaimer: George R. R. Martin is the man to thank for his great original creation for all of Westeros and the characters in it! I own none of the characters or locations. The only characters that I own is the loving Ravenheart Family! "And when all pawns were gone in the game, she overturned the table." Before the War of the Five Kings, Lord Robb Stark, the heir to Winterfell met Princess Rhea Baratheon, first born child of King Robert, and Queen Cersei. As war pushes these two together and apart, two young minds would have to go through all the strong and weak aspects of family and love and kingdom administration to the best of their ability if they want to survive. But in the midst of it all, losing sight of each other is not a rare thing. "Robb, if there's anyone the Lannisters hate more than your family, it's me. I'm the one thing that stands between them and the Iron Throne. They'll come for me and they won't stop until I'm dead." Robb stark the king in the north. My eyes land on Robb as I give him a weak smile. "I love you, my wolf, my king" a tear slips down my cheek as I say these words. This is the last thing I remember as I slip into a dark sleep. I am going to do a sequel to this book, but that doesn't mean that the characters could be safe(I'm not giving anything away by saying this ). NOTE: I do not own anyone in this book except for some servants or guards that might appear and the main characters Lara Flint, Asha, Eric Bolton, Lexis Umber. "the warmhearted snake fell for the young wolf"
Winter In My Heart | ROBB STARK. Fianna Bua, Lady of House Bua, never thought that she'd be riding off to war for the liege lord she hadn't even met. But oaths are oaths, the Buas have fought alongside the Starks for centuries and she wasn't about to be hailed an oath breaker. So with her armour, long sword and some 900 men in tow, she sets off to war to avenge the death of Ned Stark. Yet finds a little more than battle along the way. After all, wolfhounds and wolves tend to hunt each other rather than hunt together. "He said you have to marry one of his daughters." Caitlyn Stark sounded harsh but she was trembling inside and nothing could calm her. Her firstborn son was fighting a war, and the thought of Robb getting hurt kept her awake every night. "I shall marry Frey's daughter." Robb said after a moment of silence. He didn't want to but he had no other choice. He must win this war, beat Lord Tyvin and get his family back in Winterfell where they belong. Fawn Frey was the girl he was supposed to marry, she didn't want it either. "We are only human, and the gods have fashioned us for love. That is our great glory, and our great tragedy."